As we await our first taste of Halo : Reach with the Beta just a few short weeks away, we still don’t know much about the battlefields we’ll be fighting across come the years ahead. As the countdown timer to the Public Beta slowly ticks down to the big event we are sure to learn of the levels we’ll be fighting in during the Beta period. Halo 3’s Public Beta pool of maps, consisting of Snowbound, High Ground and Valhalla, proved to be a great taster for the eventual meal piece that was Halo 3 as the maps themselves changed little aesthetically from the moment the public first played on them to the final shipped versions that we are all now quite familiar with. At this point in time the Bungie Weekly Updates have given us glimpses into the levels we’ll be playing come the 3rd of May and the multiplayer trailer from early March provided us with our good hard look at these multiplayer spaces. Halo : Reach is doing things differently compared to the previous titles. Across the board changes are being implemented both aesthetically and under the hood; some we’ll see clearly and others we cannot as easily pinpoint. One of the most interesting changes for Reach was revealed during the first wave of Reach’s press coverage. As journalists got their hands dirty with the first play tests of the Campaign, Bungie remained coy on the subject of multiplayer choosing not to officially reveal any significant details. 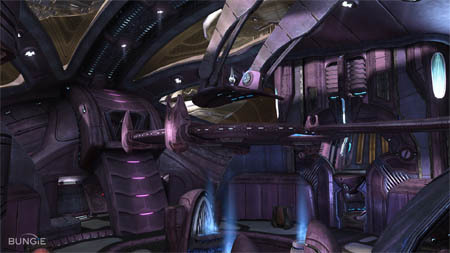 Whilst the journalists were shown a non-playable walk-through of the multiplayer level Powerhouse, a level set a hydroelectric power station on the surface of Reach, they were instructed not to publish any images and were left with a few scant details that they could use to inform their readers. One piece of important information from that initial press event was that the multiplayer levels were now served a dual purpose , they would be featured as play spaces in the Campaign in addition to being the set pieces for online multiplayer skirmishes. This information sent the Halo community into different directions. 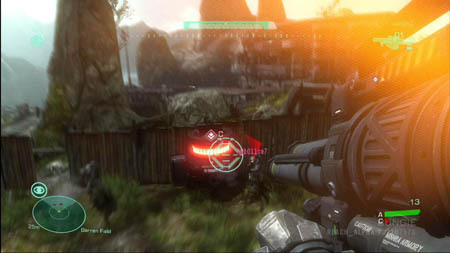 Some fans were outraged, they assumed that the multiplayer spaces were simply leftovers from the Campaign and were worried that they would lack the polish of previous Halo multiplayer levels which had been designed exclusively for multiplayer use. Other fans took the cautious “wait and see” approach willing to give Bungie the benefit of the doubt. Things came to a head during a Bungie Weekly Update. Urk, the pen master that scribes the updates took the opportunity to clarify the multiplayer map situation for the benefit of those unsure, confused or even angry about the situation. It was then revealed that the development of the multiplayer maps had in fact been separate from the Campaign levels. The multiplayer maps had been designed from conception as proper Halo multiplayer arenas and as development continued on Reach, these multiplayer areas had been taken and placed into the Campaign. Knowing that the multiplayer maps had not been neglected in any way reassured most fans that had initially been unhappy about the situation and Urk’s clarification allowed for some interesting insight into Reach’s development. The fact that the multiplayer maps are now part of the Campaign allows for some particular interesting possibilities. One such possibility focuses on what may be the next version of Firefight. Firefight was easily the most exciting component of ODST. Players could team up with friends either locally or online and together face up against wave upon wave of an endless stream of attacking Covenant forces. Limited lives and the varying Skull difficulty system made for a unique Halo experience. What is relevant about Firefight and may indeed point towards its return is how Firefight was staged. Spaces from the ODST Campaign returned in the game’s Firefight mode; small sections of levels that you had run through during the main story returned as the locations that you and your friends would stand up against Covenant forces. We could very well see this type of use extend to the play spaces of Reach as we return to Campaign areas during Firefights and online multiplayer battles. Some daring folks even believe that we could see some form of A.I. introduced to the online multiplayer system, maybe having to fight off enemy Grunts, Skirmishers or Hunters whilst player controlled Elites bark orders to hunt down the opposite team’s Spartans. Whether or not that is the case, Reach certainly has much more possibilities than any previous Halo game before it due in thanks to how the Bungie has approach development. What angered some fans initially may have the same fans singing high praise come release. The March multiplayer trailer showed us four distinct maps and from further details revealed recently about Reach’s multiplayer features we now have names for two of them. The map names, despite being revealed, may not be final. This map has been the centre of attention for fans clinging onto the latest Reach news that has surfaced over the past weeks and months. First hinted at within Urk’s cryptic references in the Bungie Weekly Updates, then shown to the press at the X10 press event and finally revealed to the public in the March multiplayer trailer, Powerhouse seems to be the perfect mid-sized battle arena. Based around a hydroelectric power station on the surface of Reach and clearly human built, the workers seem to have abandoned the station in wake of the Covenant invasion. The map features a number of multi-storied buildings connected via pathways high and low with a small body of water which pool away and flows throughout other areas of the map serving as watery centre piece. Seemingly designed for a number of various game types such as Slayer – both Team and Lone Wolf variants, Flag, Bomb and the newly revealed Headhunter* mode variants, this map may very well be the most popular of the Halo : Reach Public Beta pool of maps. This map was officially revealed in the March multiplayer trailer and not yet been shown to the press and it came as quite the pleasant surprise. This map is based around a clearly human office or high end building complex and bears a resemblance to large shopping centres of the modern day. In stark contrast to the other maps revealed in the trailer, this map has a sharp futuristic look and style about it that reminds the eye of the aesthetic style of a previous Halo multiplayer map, Halo 3’s Orbital. Whilst aesthetically, the two maps may be cut from the same cloth, there are major differences. Firstly Sword Base is not a military space station, the walls are white smooth instead of packed with metal and technology and secondly the map seems quite open and allowing for considerable jet-pack-friendly, vertical gameplay – significantly absent from Orbital. The map echoes a similar layout to Halo 3 maps Epitaph and Cold Storage but appears to be much more Team game friendly. And unlike those Slayer focused maps, the multiplayer trailer allowed us to see the map is capable of allowing for Objective type gameplay as such as Territories and Flag variants. One of the final maps from the March multiplayer and also possibly the most exciting out of the bunch, this map was used to showcase the game mode Invasion*. Invasion is much more than a simple new game type and the map need to showcase this mode needed to be more than a simple Big Team Battle map. Smelter appears to be set around a human metalwork facility, possibly processing raw ore into titanium; we have large looming buildings with walkways and corridors that overlook vast open and enclosed areas begging to be crossed by vehicles. 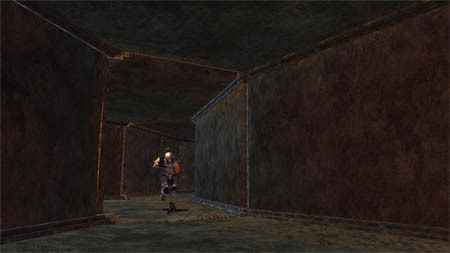 Dotted around the map seem to be various rooms and alleyways that connect areas and floors of the map to the next and interspersed with series of gameplay-vital electric generators placed around key defensive locations. The map seems to support Slayer variants with smaller infantry friendly walkways, platforms and rooms and Objective variants with its open spaces that invite vehicular mayhem and destruction. This may well be the map that showcases the new Invasion mode during the Beta and seems like an evolution of the large map formula that we have seen in previous Halo titles. Does this mean that Invasion is not limited to just Smelter and bigger maps? We don't have much longer to find out! Hidden way in plain sight is another map that may be plainly visible for all to see in the March multiplayer video. Will we be getting all of these maps in the Public Beta? Come May we will become familiar with the above four maps. We will learn their ins and outs, memorise the best paths to the objectives and discover the best routes, jumps and angles to approach enemies or flee from heated gunfire. We will look back fondly on our time spent playing the Reach Public Beta knowing that come release we can revisit these vistas anew after Bungie has applied various tweaks to many of the gameplay aspects. They should stay the same, aesthetically speaking, with maybe a few changes and modifications here and there. As with previous Halo maps they may also contain secrets we may not discover until months or years after release. With time, Bungie will slowly pull the curtain back on the other maps that will ship with Reach. These new and, for now, unknown maps will have been designed primarily for multiplayer and serve a secondary function as Campaign set pieces. Further down the road we can hope to see more maps added post release in the form of downloadable content. These future DLC maps could be set almost anywhere in the Halo universe, free from the confines of the Reach Campaign. For now we should bring the focus back to Reach. We know very little about the Campaign and from recent comments made by various Bungie staff it seems we must wait until the summer, specifically the E3 press event, before we get our next glimpse into the Campaign and further potential multiplayer spaces. From the fiction and lore of Halo, we know how it ends. We know Reach falls and we know quite a bit about Reach itself, the people, the locations, the battles that lie ahead. The Campaign will no doubt bring its own surprises and twists but let’s take a gamble and roll the dice and see if we suggest suitable locations for us to visit when Reach falls. Due to Reach’s vast deposits of valued natural resources, titanium being the most prominent, there are thousands of deep, cavernous mines buried deep in the planet’s crust. These winding tunnels and hollow caverns were once rich with activity as the earth was excavated in the hunt of rich veins of usable metals. After the mines’ resources were tapped and the supply of metal in the area exhausted, the machines and activity started anew elsewhere leaving behind miles of unnatural and abandoned, dark pathways running deeper into the crust. These relics of Reach’s past were not entirely forgotten; ONI and the UNSC used many of these mines to house various projects that they wanted to keep hidden away in the darkness. Secret ONI installations, Spartan training facilities and secluded areas that were perfectly suited to the testing of experimental weapons and prototypes; the mines of Reach are teaming with secrets, some of them buried and forgotten. Deep, dark and claustrophobic environments would provide a sharp contrast to the bright, open levels and the limited verticality forcing players to think long and hard before getting themselves into a fire fight with little or no option to escape. The small enclosed environment would lend itself well to intense Slayer games and perhaps a limited number of Objective variants. With nowhere to run and a wall at your back at all times you’d be relying on your trigger finger and perhaps an ounce of luck to get you’re through an entire game unscathed. Snipers would find themselves without a perch to camp on and the smart player would learn quickly that they’d have to remain on the move at all times least they find themselves ambushed around the next dark corner. Tight corners, elevators and a lack of vehicles would replace open areas and gravity lifts to focus the flow of the game into constant territorial dispute with little to means to easily dominate. Teamwork and communication would separate the winners from the losers. The sheer amount of mines and the fact that many of them are buried miles underground may have shielded some of these locations from the Covenant invasion and subsequent planetary surface glassing. Reach’s terrain and climate can be described as rough, rugged and unwelcoming. Although from a distance, the lush green colouring can fool the eye into thinking otherwise, the reality is that the rich colours mask a harsh terrain. The Military Wilderness Training Preserve is situations deep into Reach’s untamed wilderness encompassing large areas of natural forest and rocky, unforgiving mountains. The forest, far from tropical, has been forged by the rigid conditions and unforgiving climate. The large trees form dense maze-like areas of enclosed natural entrapment. The forest gives way to coarse mountainside as the trees and shrubbery stop their meandering and open up to a rocky, bare stretch that conceals hidden deathly valleys that cut deep in the mountains. The peak is blessed with clear skies and cold temperatures but little or no snowfall. The Halo series has yet to feature a forest area with dedicated prominence but the familiar survivalist environment would make for an interesting departure as location to fight across. Wide open spaces would lend themselves to limited vehicle action but would quickly close off as infantry battle across the dense foliage and in between the towering woods. One can imagine trying to siege an enemy base, choosing between the direct approach across the open stretch directly in front that would expose the team from a distance or a closer approach using the forest itself for cover allowing you to get closer without being detected. A banshee flying overhead would punish the smallest mistake. A level in this kind of environment could be a sprawling battlefield for Big Team Battles, with various localised smaller skirmishes occurring simultaneously across the map. Objective variants would also play well in such an environment as the terrain itself would provide many interesting options and carnage filled outcomes. The forest wouldn’t be easily dominated by ground based vehicles as infantry would find cover quickly in the dense foliage which would also act as a natural buffer to repel even the toughest Warthog, aerial vehicles would find it tough to track their ground hugging prey – losing most of the advantage they gain with their bird’s eye view. This area was once home to the Spartan II program as it used to teach the young Spartans the necessities of both team work and survival. And although it features in the Fall of Reach, when Red Team is forced to make an unexpected detour through the area, it’s entirely possible that we will find ourselves making a trek through this part of Reach for reasons as yet unknown. Anyone familiar with Reach knows what happens to this world. Despite Reach being the military hub of the UNSC, the invading Covenant forces prove to be too much for the best defense humanity can muster. The protective UNSC force is annihilated. The planet falls. The Covenant turns their destructive fire power toward the planet itself and aims their powerful plasma weapons at the crust of Reach. Systematically targeting every inch of the surface, the Covenant’s plasma super-heats the ground, melting rock into a serene glass and ensuring any life trapped below is sealed below or vaporised by the heat. Forests are flattened, mountains smoothed, seas boiled away and cities are twisted beyond recognition. The landscape transformed into a hellish nightmare, the surroundings unrecognisable, the horizon is filled with towers of smoke and endless fires, the sky is screaming out with thunder booming louder than any heartbeat with lightening lashing out violently in protest of the planet’s premature demise. This hellish level could be bent to any gameplay purpose, the environment twisted into a glassy façade of something new and alien. Large or small Slayer variants and the constant carnage of battle would perfectly reflect the grotesque landscape. Former buildings, reduced to mere mounds of unrecognisable glass, could provide cover as vehicles zigzag across the uneven terrain. With Halo, we have visited green alien vistas and abandoned human factories, stations orbiting heavenly bodies and labyrinthine ancient temples. 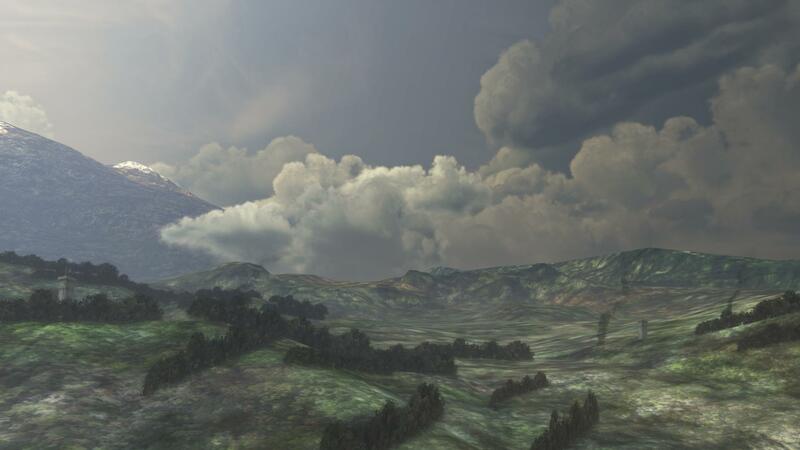 A glassed landscape in the wake of the Covenant invasion would be a unique and unvisited world with echoes of both horrifying death and a display of raw, unimaginable power. It would be unlike any background any Halo player has foot upon and would leave a deep, lasting impact that would stay with the player long after the game is switched off. Considering how heavily Halo deals with battles fought in the depth of space and enemies that travel far across the seas of stars, we see very little of the eternal enveloping curtain of pitch black space itself. With specific and limited examples, such as Cairo Station during the opening level of Halo 2 and the aesthetically pleasing Halo 3 DLC map Orbital, our battlefields have neglected the backdrop of the majesty of space itself. From what we know during the events of Reach, whilst ground forces were trying in vain to hold key ground positions against the waves of Covenant forces, the UNSC forces in orbit above Reach were fairing much worse. Despite being bolstered by a fleet of defensive warships and almost two dozen Orbital Defense Platforms equipped with heavy MAC guns, easily the UNSC’s most formidable force left, the Covenant would emerge victorious. As we have seen with previous space based environments, there are a variety of possible geometry configurations and gameplay possibilities. Cramped access tunnels lined with rows of piping and framed by narrow, low hanging lights, large open cargo holds with view-ports catching the eye’s attention, command centres humming with the sound of tactical computers and illuminated by the rainbow shades of flickering displays or the lingering silence that distils the ever present vacuum in every direction around the docking grappling hooks that outline the outer hull of a station. These space based environments never lend themselves well to vehicular combat and infantry skirmishes do require a magic touch to remain balanced and fun. Slayer variants, small teams in particular would be ideal, whilst those seeking Objective variants would probably be better served looking elsewhere. Imagine being trapped in a space station in high orbit. Main systems are offline and emergency backup systems are struggling to maintain an online state and over the intercom you faintly can hear distress communications requesting assistance, reports growing onslaught of UNSC forces or panicking soldier pleading for their lives playing. The view-ports are filled with debris, millions of tons of metal float lifelessly where moments before stood hundreds of ships and other Space Stations. You can see the enemy everywhere you look, except below. Below, what was once a vibrant, verdant and azure jewel has been transformed into a searing shadow highlighted by the glow of mountains of crimson flame. Some Halo players are much more familiar with Covenant architecture than they are with the layout of their own streets and cities. We have spent countless hours running through Covenant locales across the Halo games in both Campaign and Multiplayer, the smooth rounded edges and flowing pinks and purples have been our ever present visual companions. The scope of Reach is vastly different from previous titles; no longer will we be running around an ancient fortress one moment only to be whisked away to the surface of another planet during the next. Reach will fall and we’ll be there all along the way from before the invasion begins to the thick of battle and perhaps thereafter. Reach is a human settlement that humanity has claimed from the stars and across which we have built and developed and farmed. It is exclusively human, no Covenant or any other alien structures or buildings can be found upon its surface. 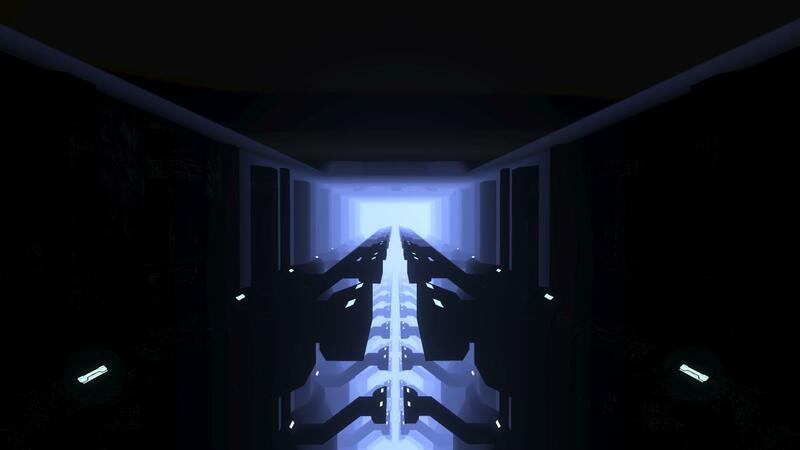 We will likely never see a single Covenant base during our journey, but as Noble Six, a member of famed Spartan task force, you may, for example, be sent into the bowels of a Covenant ship in a desperate and almost certainly fatal mission to attempt to destroy it. One of the most fondly remembered maps from past Halo games is Midship from Halo 2, also known as Heretic in Halo 3. This map fits the possibility just perfectly. It’s an ideal Slayer map that manages to deftly support a few Objective variants. The small size strictly limits the player count but the maps flows and plays better when it doesn’t feel too clustered. This map was brought back and warmly received as downloadable content for Halo 3 after its successful introduction in Halo 2 had fans clamouring and demanding its return for the sequel. No one should be surprised if one of the most popular maps makes a return in Reach. This may be a stretch but, for the sake of hearing Marty’s monks chant one last time as Bungie closes the door on their contribution to the Halo franchise, hear me out. 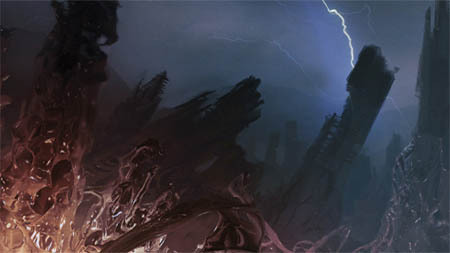 One of the main reasons why the Covenant invaded was that the location of Reach revealed to them by a Forerunner artifact. 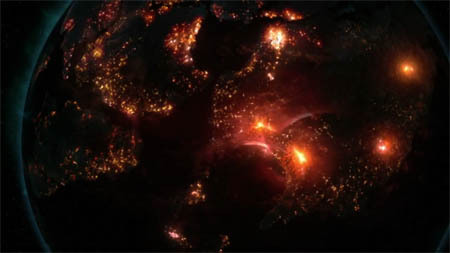 They had also discovered that humanity was present at this location thanks to a tracking device planted on a UNSC ship. The Covenant had previously discovered that humanity, not one of the Covenant species, had been declared as Reclaimers by the Forerunners – the successors to the Forerunner legacy. Humanity was to inherit the knowledge of this ancient race along with their secrets and technology. The Covenant was quick to hide this fact and aggressively pursue the annihilation of the human race. The Covenant was also locked into a race to secure the remaining Forerunner artifacts before humanity could lay claim to them. The UNSC and ONI had only begun to scratch the surface of what was still considered a mystery; humanity had yet to learn about the destiny the Forerunners had left for them. Buried under Reach are a series of underground caverns far deeper than the deepest mines. They were formed by ancient volcanic activity as the recession of once flowing lava rivers left hundreds of miles of underground cavernous tunnels in it’s wake. In one of these caverns, after the fall of Reach, a Forerunner installation was discovered. The Covenant had attempted to gain access to this facility and had spared the surface directly above it from the glassing they had inflicted upon the rest of Reach’s surface. As we have seen from previous games, Forerunner buildings and environments can encompass a wide assortment of Slayer variants and Objective variants. An underground building may be limited in vertical spaces and wide open plazas’ but it isn’t a certainty. The Forerunners always had a penchant for grand, dizzying artificial environments and a sense of scale that would make giants weep. There may be more ancient structures hidden under the crust of Reach, waiting in stoic silence to be discovered. The mystery of multiplayer levels in Halo : Reach will remain after the game has shipped this Fall. We are almost certain to be graced with future downloadable content in the form of more maps which will undoubtedly consume more of our free time. Halo maps are in a constant state of evolution and each set of maps uniquely reflect the Campaigns of the games they are designed beside and Reach takes this one step further. The game play evolves with each new games and we as players also change over the years. One thing is certain, in future we’ll be shooting each other and having fun. Hey! That’s my screenshot… Haha awesome. It’s from my map Claustrophobia that I made some time back… Never realized how it resembles underground mines. Good find! Check out the rest of the screenshots in the link! HRF, the official Halo:Reach forum since ’09. Join as a member through an easy registration process. wow, I though I picked all the information apart. HBO to the rescue! Nice work Mr Wu. Nice point about activity (gameplay) in the mines post planetary surface glassing. I like the speculation. There is a good amount of information in this article. Keep up the good work! Military Wilderness Training Reserve. You say that Red Team treks through here in the novel The Fall of Reach. This actually happens in First Strike, which brings me to my next point. I don’t think you’ve read First Strike. You go on to say that Reach is all human, with no Covenant or other alien structures on it. First off, the Covenant set up temporary bases as they go along (see: First Strike). Second off, Red Team enters a massive Forerunner complex in First Strike. They explore a small part of it, and Noble Team will probably explore another part of it. Excellent. Well thought out ideas concerning multiplayer. People shouldn’t hope for EVERYTHING mentioned here, but it presents some good speculation. Can’t wait! Interesting speculation. You’ve got some great descriptive skills. Very nice closing. I definitely have read First Strike, just finished a read through a few weeks ago again. I recall the temp structures the Covenant set up after the invasion, but during the invasion they weren’t present. I’ll do my best to clarify these sorts of points better in the future and I appreciate you highlighting them for me. Nice eye for detail. not to mention, those bases were mostly torn apart by the Spartans on the surface anyways… at least, the two that were mentioned. *spoiler* I mean, the ship got nuked and the other base got wraith-bombed several times… the second “base” might be functional still but with the digging equipment destroyed, they would have had to make an entirely new one. Wow man, great work. im forward of reading more game / fiction comparison in Reach Matters. I hope to see snowy mountains( as portrated in Fall of reach, spartan training), the underground forerunner site, where fred and halsey were (maybe the spartans III follow shortley after the fiction characters leave) and other open areas. I hope we see another Forerunner AI… one that give us away more hints of the forerunner story. Terminals??? that be cool… mabye terminals with pictures with audio files, like seen in ODST. Im sure we will see the glassing, i just hope , for a little time, we are very, very close. But you forgot to mention the big area off of the coast of the yerquek sea where all of the sea CUCUMBERS AND walrus’s and dugongs while on the move off the coast of saipan! Seich auf die nase am dem heissen platz und warum was ist deine lieblingsjahrezeit und warum du sprechst pfannkuchen! There is one thing that i want to appear above anything else “WORT WORT WORT! What i do not understood is in truth how you are not actually much more smartly-favored than you might be now. You’re so intelligent. You already know therefore considerably on the subject of this matter, produced me individually believe it from a lot of varied angles. Its like men and women are not involved unless it is something to accomplish with Woman gaga! Your individual stuffs excellent. At all times maintain it up!